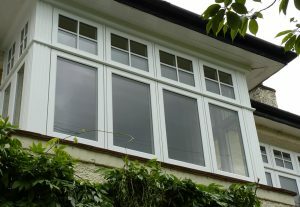 Looking for wood effect UPVC windows? We manufacture and install the popular Residence Collection! Did you know there are 137 conservation areas located throughout the West Midlands? If you’re in the same boat as many homeowners across the region, in the process of planning a home improvement this year, your first port of call should be to find out whether your project could be affected by conservation restrictions. What does it mean if your house is in a conservation area? Conservation areas have existed since the 1960s, with over 10,000 located in England alone. Put in place to protect and manage special architectural and historic interest, the primary aim of a conservation area is to diminish the loss of unique and distinctive features that define a particular place; preserving historic environments for further generations to enjoy. Designated by each local planning authority, conservation areas impose extra planning controls which can prevent certain home improvements from taking place. Productively maintaining historic property features, conservation areas work hard to eliminate the inclusion of inappropriate & poor-quality replacement windows and doors. Designed with conservation approval in mind, ground-breaking timber alternative windows effectively address these issues up and down the country. Are there any other situations that require wood effect windows? Areas of Outstanding Natural Beauty (AONB) are protected areas of countryside that provide significant landscapes that are of national importance. Article 4 directions remove all or some permitted development rights from a particular area or site. Put in place to control work that could threaten an area’s character, an application for planning permission may be required to carry out renovation or building work. Listed building consent is required to make significant material changes to properties with listed building status. Internal alterations will typically require formal consent too, e.g. removing original panelling or fireplaces. Permitted development rights automatically grant planning permission. For example, tiled roof replacements for conservatories usually fall under permitted development rules – as long as certain criteria are met. Is my home in a conservation area? Our new factory is currently in the process of being built, which will be dedicated to manufacturing the conservation compliant Residence collection and Modus Flush sash window range. 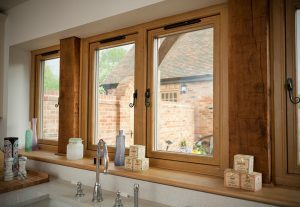 So, if you’re looking for authentic wood effect windows that refuse to compromise on thermal efficiency and security, get a quote with us today or contact our down-to-earth team of experts to discuss your options further.